Mastering My Midlife (and midriff! ): My experiments with sugar. Sugar, my nemesis. The sweetest addiction on the planet. Sugar is so common in every day life that if you refuse it, many people look at you like you're strange or that there's something wrong with you and if you try just this one (insert" cookie, chocolate, brownie, candy, cupcake, pie, etc) you will be brought back to your senses. What I'm saying is that if you're living a sugar free life, you might be considered an inconvenience at a dinner party, birthday party (even your own) or social gathering of any kind. It's been a very difficult choice to go sugar free and a hard won victory over my addiction and here is what I know for sure. My name is Shannon, I am a sugar-holic. I have 105 days clean. But when I set out on this journey I didn't necessarily think it was for life. I started off with three days and at the time even that felt insurmountable. I'm sure for many of you reading this right now you're saying: "yeah, I'd never want to do that, or I could never do that." I am not here to convince you otherwise. For me, sugar was calling the shots and my health was suffering as a result. So just after the ninety day mark, I made my tea and dropped in a lump of sugar. What I expected was that I was going to experience pure bliss. Nope. It tasted fake, weird, not right somehow. I had to dump it and make a sugar free cup. Wow! Shocker. If I'd bet on it, I'd have lost the bet. So that led to my next experiment. A treat. 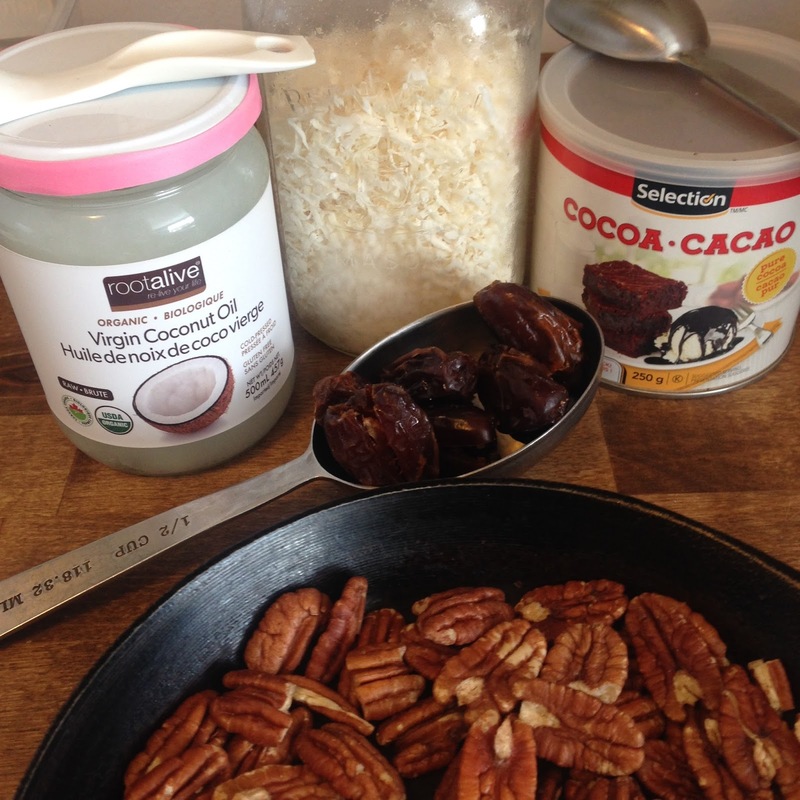 Nothing crazy or elaborate and absolutely nothing with refined sugar. 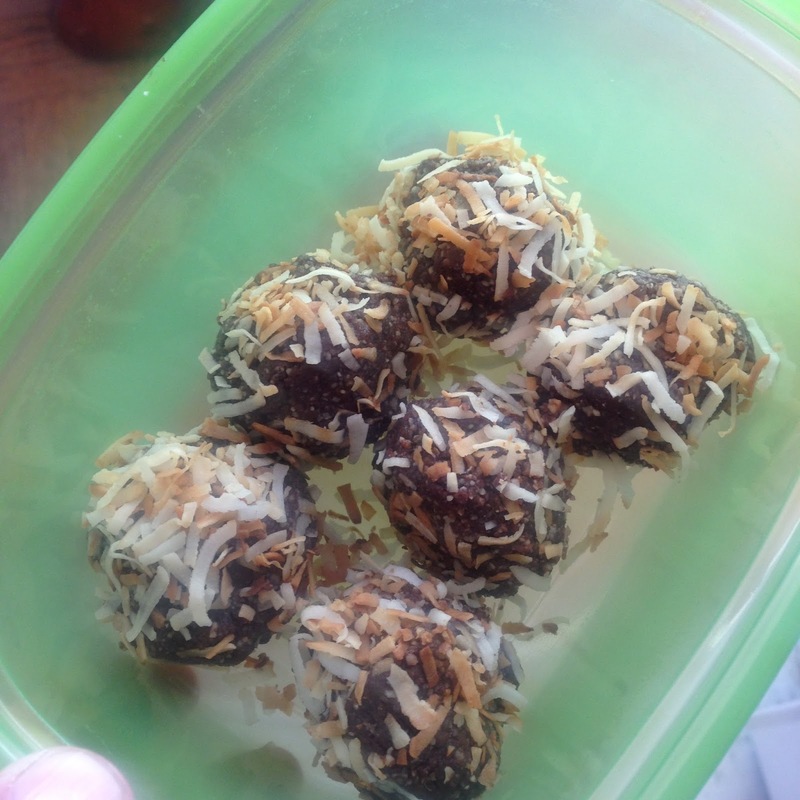 I found a recipe for coconut truffles that I'd made the last time I was sugar free a few years back. Only five ingredients and from memory, these little balls of yum did not trigger a huge craving and I was able to have just the one. Not the case with a regular chocolate chip cookie, with those I always needed to polish off every last one, there was no stopping! Coconut oil, unsweetened coconut, cocoa, dates and toasted pecans. 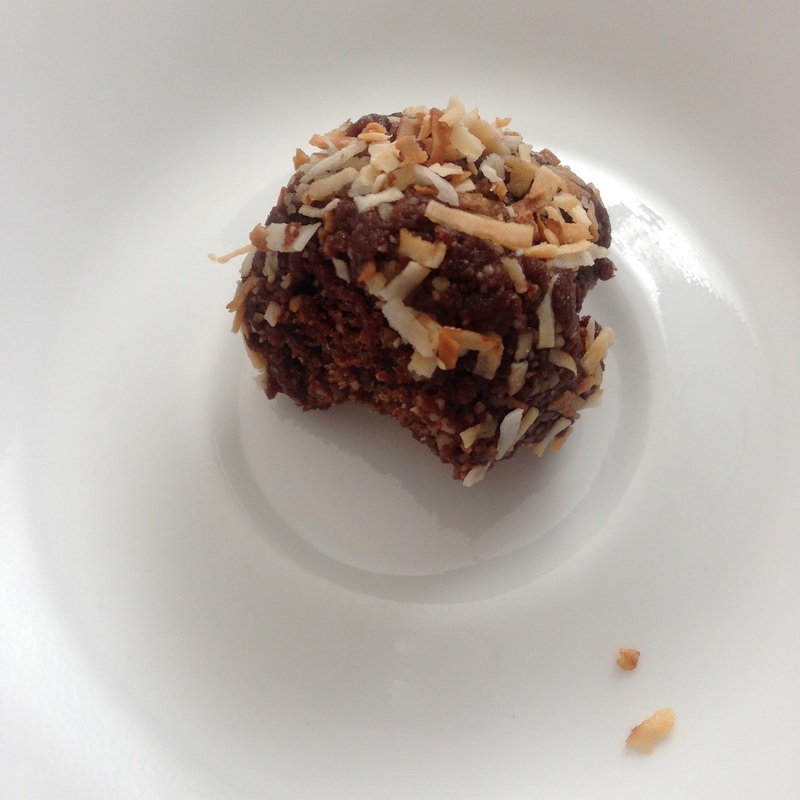 These truffles are great because as well as being "refined sugar-free" they are also vegan and paleo approved. And I was also smart enough to only make half of what the recipe called for in case it turned out that I could not be trusted. I was pretty confident I'd be fine though. Once finished, it made six. I made a cup of tea, parcelled out a single serving on a tiny tea saucer and sat down to try it. I savoured the chocolatey coconut aroma and enjoyed the idea of this small indulgence before finally taking a bite. It was delicious. I liked it. It wasn't too sweet and didn't taste fake the way my tea had done a few days prior. Once I'd eaten it, I knew that was it for the day and I was absolutely fine! I'd passed the test. Sugar was not the boss of me, I was the boss of me. Whoa, whoa, not so fast. Hold the applause. The very next morning on my way to work, all I could think about was getting home and having another one. Having my "one a day" allowance. My mind began to swirl and debate and argue and contemplate this idea of introducing this thing back into my life. My brain argued saying it's fine, it's small and just once a day, you can handle it, but my gut knew better. This was not okay. This was my addiction talking. But I didn't have the heart to throw them away. 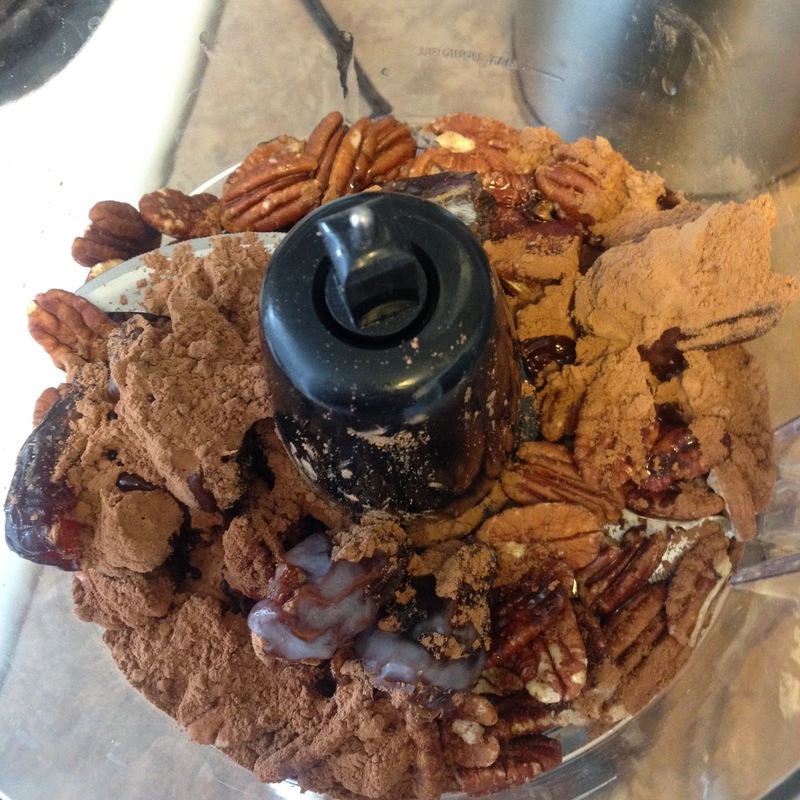 Pecans and dates are expensive yo! Still I knew that if I let this continue for five more days until I'd eaten them all I'd be in very bad trouble. So I did what I had to do. No I did not eat them all in one sitting! I fed them to He Who Shall Not Be Named and he ate them all... in pretty much one sitting yes. Turns out sugar is still the boss unless I treat it like any other addict would their addiction and continue to say no one day at a time. So there you have it folks, my name is Shan and I'm a sugar-holic and yesterday was my first ever sugar-free birthday. The first of many more to come I hope. Sorry I've not been around in the active sense for your last few blogs. I always, always enjoy reading them, but can only leave a comment when on my laptop (rather than phone or iPad).. Anyway, I simply wanted to come here and acknowledge with you what a monumental leap of progress you have made. Its inspiring to me the inner strength and determination you have not only found, but sustained on this journey. Which, to me, makes it seven more impressive - that you went from that to cold turkey, and stuck with it. Yep and that was JUST the tea. Consider that during the day I'd have chocolate covered almonds or peanut butter cups and at night I'd easily polish off an entire large bar of green & blacks. It was more than a little problem. Nice to know James has you covered on the "mustn't let it go to waste" front as well. Ha! I was actually clapping before you told me to hold my horses. (But I'm still clapping because you're 100+ days, and you adjusted course like a champ). Keep on tinkering. Ha ha, I can always count on you to have my back. Yes, happy to stay clean rather than ever risk having to "quit" again. It was a special kind of hell. See, I see this as a success. If after eating one of those, um, balls you starting knocking over convenience stores to score gummi Bears then, yes, failure. However, even if that did happen, you're human and no one would think less off you. Though please buy your bears! Now that's what I call strength from within! Imagine if you'd tried doing this 3 months ago... you would've probably wolfed the lot, made another batch and had a tub of ice cream to drown your sorrows ha ha. You never cease to amaze me, I mean I know you fall off the wagon and are not afraid to publicly admit it (most of us do it in secret!) but you always get back on and when you're on... you're ON. Thank you so very much Janice! It's been a long road but so grateful to be here!